Second Chances Girl - a Miami family and lifestyle blog! : Yay! It's Friday!!! Happy Friday! 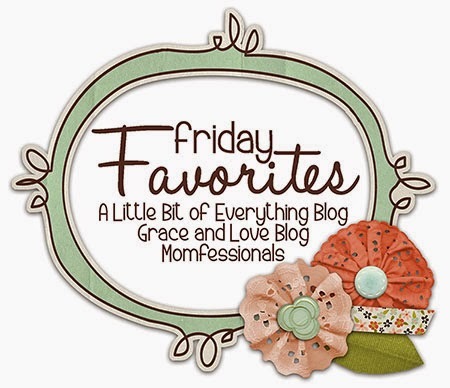 Time for another round of Friday Favorites!!! We had a much more laid back week this week. Last week was nuts! We are a family of five this weekend so I'm sure my relaxation will end at about 6:30pm! I'm loving the cooler weather we are having this weekend. High 60's in the morning, leading to high 80's in the afternoon! Fall in South Florida!! I'm taking advantage and wearing these super cute boots I bought earlier this year! I've seen them in various stores but I purchased mine for $24.99 online at Kmart! They are super comfy and perfect with cuffed jeans! This morning I stopped at Publix to buy some doughnuts for the office, oh how I love doughnuts, and I discovered this rasperry sweet tea in one of the coolers by the cash register. 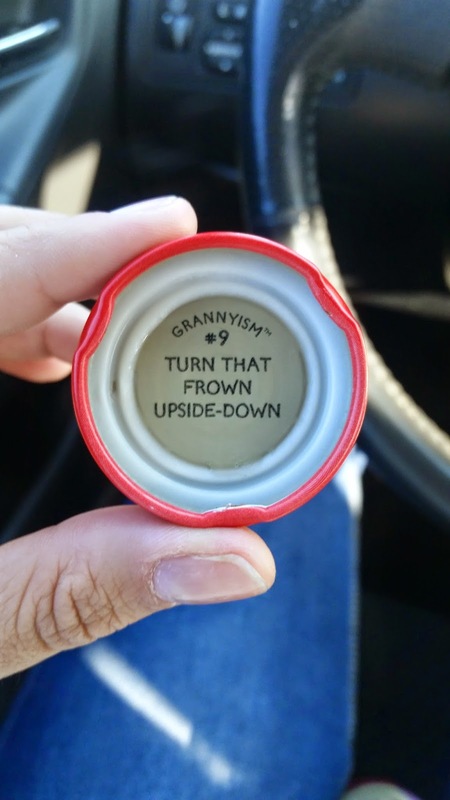 I susually don't drink bottled tea but the granny on the label drew me in! Yup, expect me to be the one that falls for the ads! Anyway, I tried it and loved it. It's so delicious. Oh and my favorite part? Grannyisms under the label!! We all know how knowledgeable Grannys are so I expect to find some pretty amazing grannyisms soon! Have you tried this tea? 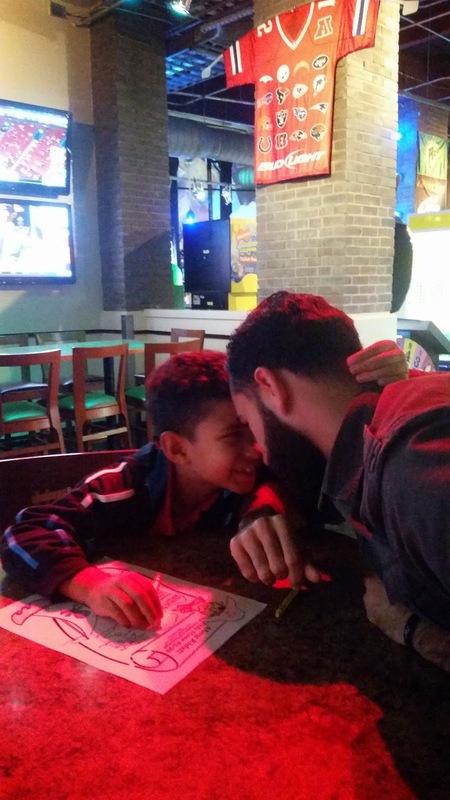 We went out for dinner last night and I took this super cute pic of Adrian and JC. They really do the cutest things and it makes me so proud that they love each other so much! Have your kids decided on their Halloween costumes yet? Of course, we have no idea what we are going to wear! I'm bummed this year because Amberly and Gian will be out of town with their mom on Halloween so our Star Wars group costume is a no-go again :( Adrian wants to me a mummy or a skeleton (yup, no more cute costumes here!) and I wanted to dress up as a gypsy. I'm trying to get coordinated costumes for me and JC but it's hard this year with his beard! Any ideas? We don't have any major plans this weekend. I want to finish my outdoor Halloween decorations and just hang out. The weather is supposed to be really beautiful this weekend and I want to take advantage. What are you plans for the weekend? My kids are ALL about Halloween costumes right now. Superheroes to be exact! I have shoes very similar to those. Careful wearing them with dark blue jeans - the dye rubbed off onto my shoes :( I managed to get it mostly off, but well, now you know! 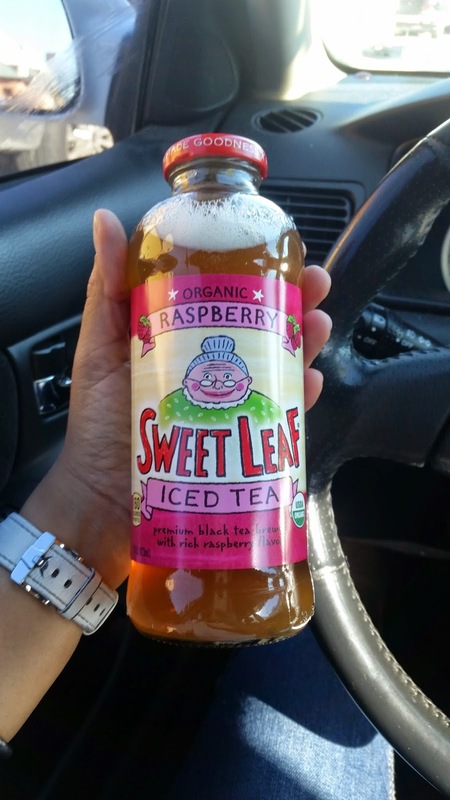 Sweet Leaf is my FAVORITE bottles tea. I always get the Honey Mint Green Tea. Sooo good and love the grannyisms! I hope you had such a fun weekend with all the little ones. I'm sure it was busy, but full of love and memories. I'm all about some boots lately. Cheers. You know what's funny? I had raspberry tea last night! I never drink tea of ANY form but I was really dehydrated after such a fun, party, wedding weekend and it was there on the counter. It was good! I love those boots--so cute! And I'm a sucker for advertising, too! :) We're moving over Halloween, so we're not planning too much. Britton does have a Minnie Mouse costume that she'll wear to trick or treat at my parents' house that night...but that's all we're doing this year!